← Be kind to your knees. And don’t believe everything you read on the internet. Fern Richardson grows “tons of herbs,” “tons of succulents,” lots of vegetables, and at least six trees—on a balcony. I’m not quite sure of the tree count, because after I counted to six, I’m afraid my hearing did the auditory equivalent of glazing over—I just wasn’t entirely functional for a moment there. When she was listing them—the kumquat, the apricot, the fig, the two apple trees—I squawked “TWO?” so loudly that I had to lower the volume of that one word in the recording, to preserve my listeners’ hearing. There are two, Fern quite reasonably replied, because apple trees cross-pollinate with a nearby tree of a different variety. She’s an expert at getting the most out of a teeny tiny space, and she shares her knowledge with me on this week’s podcast. She’s just published her first book, the wonderful Small-Space Container Gardens: Transform Your Balcony, Porch, or Patio with Fruits, Flowers, Foliage & Herbs. We talk about the special challenges faced by people who garden in tiny spaces—wind, glaring sun, perpetual shadow, and of course, the lack of space. She has not one but at least three or four suggestions about how to use a wall or railing as garden space, and a similar range of ideas about creating vertical walls for privacy, wind barriers, or simple loveliness. We had a few good laughs doing this show, and I actually told the story of how I once dealt with a cell-phone caller on a train. Fern’s chimes and fountains are a less aggressive shield against unwanted noise, though apparently she’s not afraid to push the envelope; some of her gardening tactics may not be entirely in accordance with her condo’s HOA rules. Fern’s book left me feeling that there were endless possibilities for even the smallest gardening space—and that’s how I hope you feel after listening to the show. Fern Richardson gardens in Orange County, California on a 4’ x 10’ balcony. Her award-winning blog, Life on the Balcony, includes even more projects than appear in her book, along with lots of informative articles. 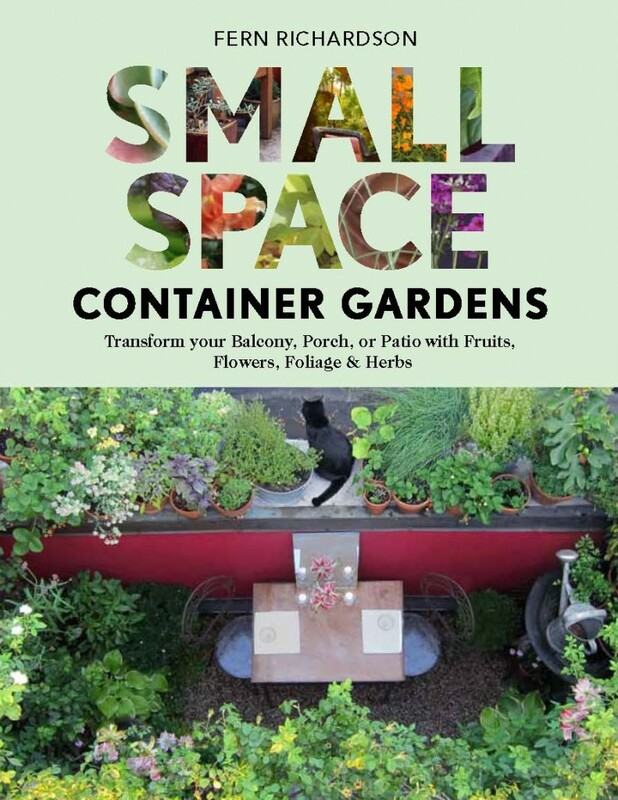 That book Small-Space Container Gardens: Transform Your Balcony, Porch, or Patio with Fruits, Flowers, Foliage & Herbs, was just published by Timber Press. Thanks for bringing Fern to my attention. I’m pleased to see a little space left for a couple of seats and the cat ! Loved Fern’s book! Thank you for the podcast featuring it. 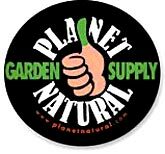 Going to use some of the points in my small garden. 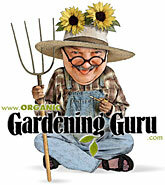 “Small-Space Container Gardens” seems to be very beneficial book! Because then you have all great things grown in your own balcony wow!